Erin Kier’s vision for Hybrid Hair and Detox Spa started when she was a child and knew she wanted to take care of people and the Earth. Raised on a farm, she knew the value of taking care of the environment. Once she became a hairdresser, she was concerned about the chemicals she was using and exposing her clients to. It was around the time that she viewed a documentary about the Great Pacific Garbage Patch, that she decided she could no longer abide by the practise of her industry. Shortly thereafter, the opportunity to purchase the salon she was managing presented itself, and she realized this was fate. Share in Erin’s story, and indeed, her passion, by joining the Hybrid Hair & Detox Spa Family! Our own HHDS shampoo and conditioner are sulfate and paraben free, Vegan, and proudly made in Canada. We package these products in glass jars and offer a refill service, reducing the waste entering our landfills and the amount of plastic packaging used to store our personal care products. Guilt-free beauty continues from the tips of your fingers to the tips of your toes with polish from Zoya. 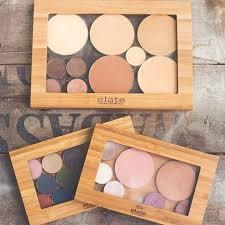 This gorgeous selection of rich and vibrant colors is free of formaldehyde, camphor, toluene, and phthalates. Of special note; Zoya is a Vegan friendly formula. While we are committed to bringing a healthy alternative to our guests, we also strongly believe in doing our part to protect the Environment. To that end, we are a member of Green Circle Salons, and utilize Bullfrog Energy – a solar and wind derived energy provider. While caring for the Environment is essential, we are in the business of taking care of people. We are proud of our safe, healthy and rejuvenating products and services. Health and Beauty are intertwined when it comes hair and skin. To take our philosophy one step further, we support our local communty with events, fundraisers and events that support mind body spirit health and sustainability. We also donate a tree each year to demonstrate our commitment to a healthy environmental for all of us. We are proud of our nurturing, calm, peaceful and relaxing atmosphere where our guests can replenish their souls while they pamper their bodies. Davines Anew Hair Colour is Ammonia Free allowing for a more comfortable service experience, virtually undetectable scent, and no discomfort with aggressive ingredients. 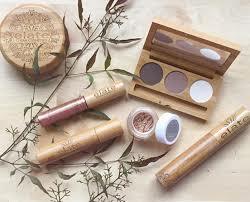 Refillable in Bamboo compacts and cases, order refills and receive them inn seed paper envelopes!